Recover data from hard drives and removeable media. Is there a better alternative to FILERECOVERY Standard? 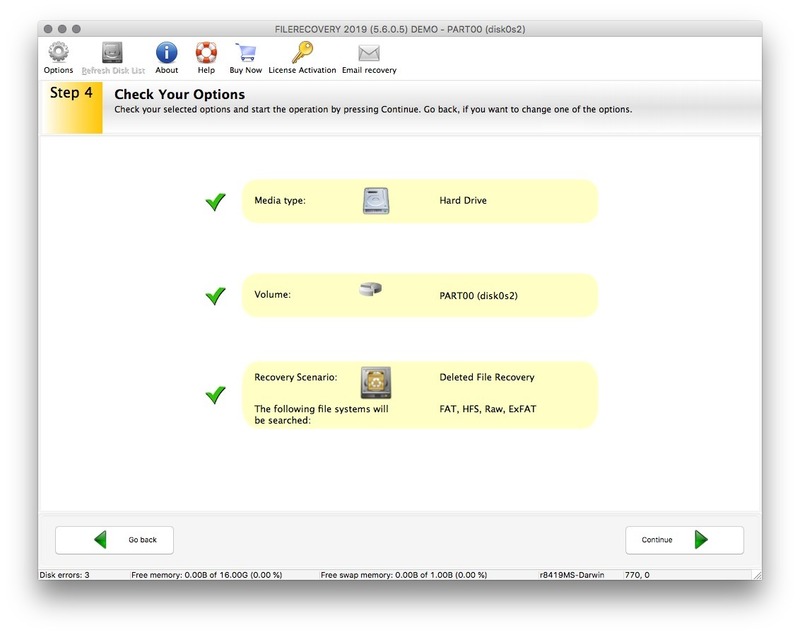 Is FILERECOVERY Standard really the best app in File Management category? 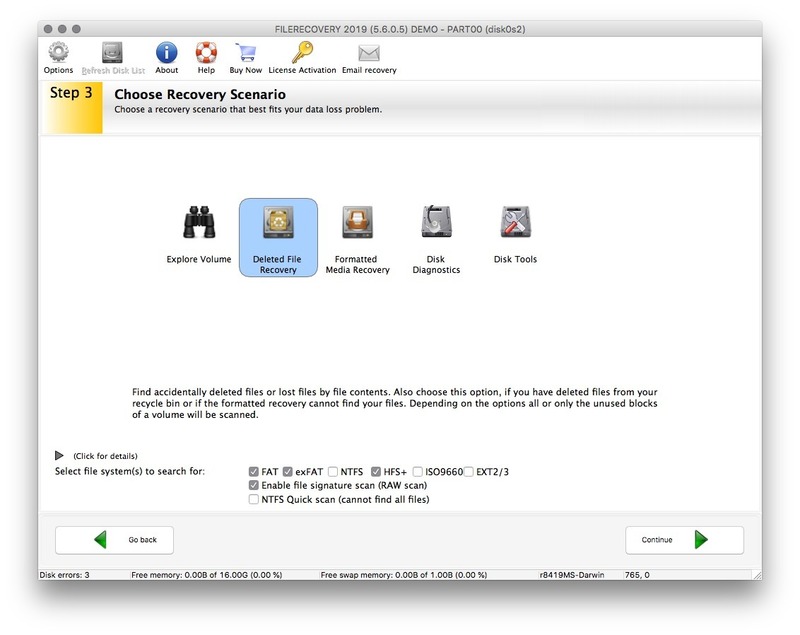 Will FILERECOVERY Standard work good on macOS 10.13.4? FILERECOVERY Standard needs a review. Be the first to review this app and get the discussion started! FILERECOVERY Standard needs a rating. Be the first to rate this app and get the discussion started! 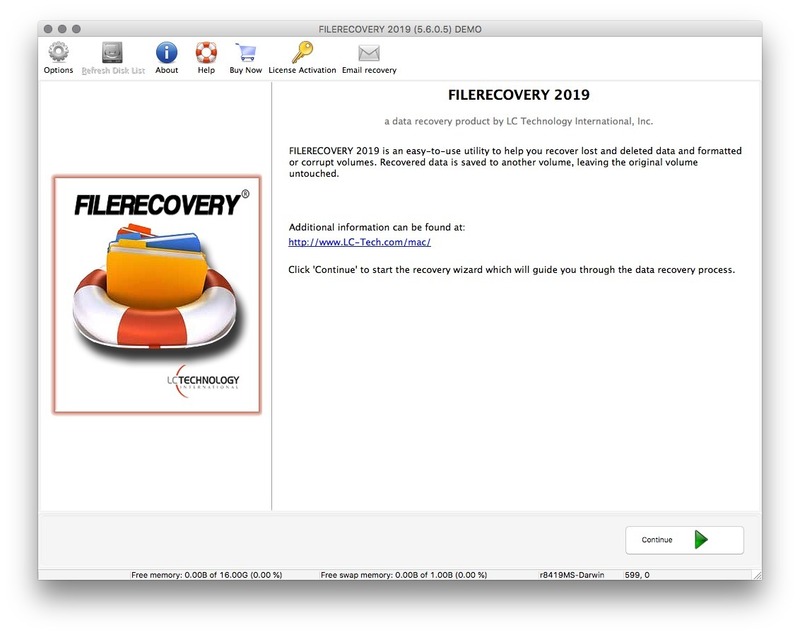 FILERECOVERY Standard runs natively under the OS X file systems 10.8 and higher, and recovers lost data and volumes from HFS/HFS+, HFS+, HFSX , HFS Wrapper, all FAT and NTFS file systems. Will recover from local hard drives, optical media, digital media, iPod's, some mobile phones and image files. Recover your files, photos, music and videos from almost any kind of data loss. 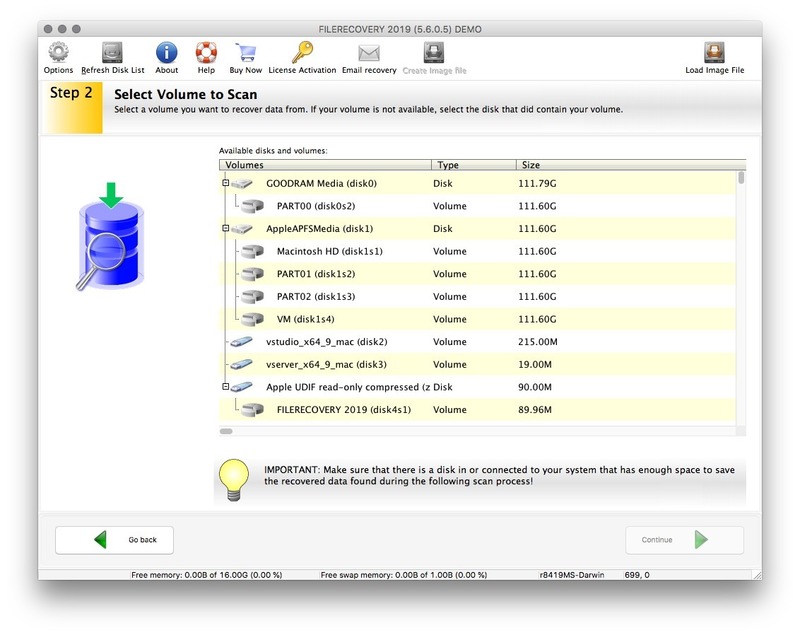 Recovers data from damaged, deleted, or corrupt volumes, even from initialized disks. FILERECOVERY Standard features an easy to use wizard driven interface, allowing even the most novice users to recover data. FILERECOVERY Standard has the ability to scan all volumes in a local machine and build a directory tree of lost and deleted files. Users can search lost and deleted files matching file name criteria. The fast scanning engine allows the file list to be built quickly with an easy to understand file manager and typical Save File dialog. Most recovered files have the ability to be previewed. All recovery operations are secure, FILERECOVERY Standard does not write on the drive it is scanning and saving data to any drive is possible, including network drives, removable media, etc. 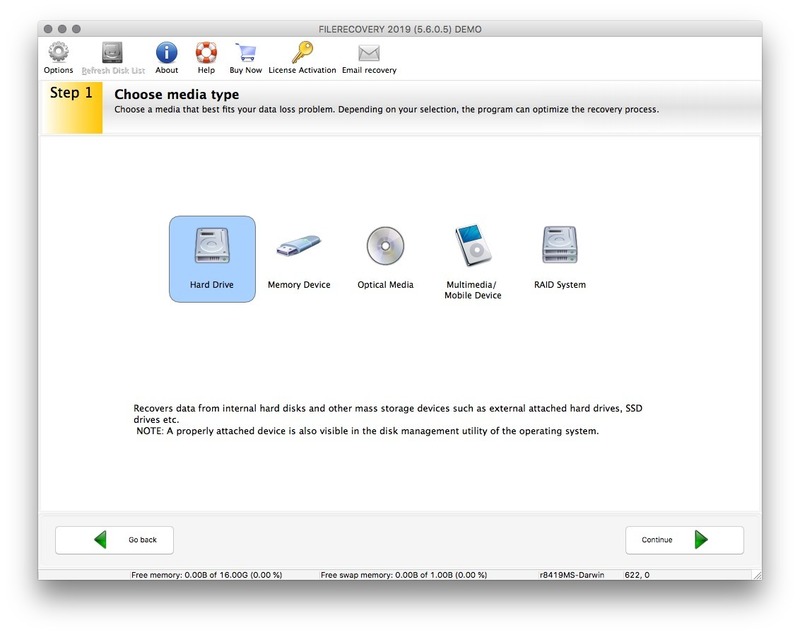 FILERECOVERY Standard gives access to all OS X file systems as well as Windows formatted devices. Standard write using system API minimizes the chance of disk corruption. No file and drive size limitations.